I’m the blogger who encourages family experiences with live music all year ’round. Maybe I’ve hit my head or developed a split personality, because this year I’d rather leave the kids at home with a babysitter. ACL is high maintenance. It is hard to get there and back, you have to commit for a long day, it’s hard to pack just the right things and the food can get expensive. What am I, 1000 years old? It’s rock-n-roll, baby! It isn’t supposed to be pretty! ACL is AMAZING for a parent WITHOUT her kids. I see live music with my kids, but in general, we aren’t seeing my most favorite bands. My most favorite bands play late at night, in a venue with standing room only and a concrete floor. I’m almost 50-years-old now, you know. I can’t do that without needing to see a doctor the next day. But, each day of ACL has a large number of great bands playing in the middle of the day where you can sit in a chair (bring your own) or a blanket. I’m not usually all about quantity, but it helps. In one weekend, I can hear several of my favorite bands and hear a dozen or so new bands that I’ll listen to all year ’round. Until the next time ACL comes around. Then I’ll go again. With and/or without my kids. 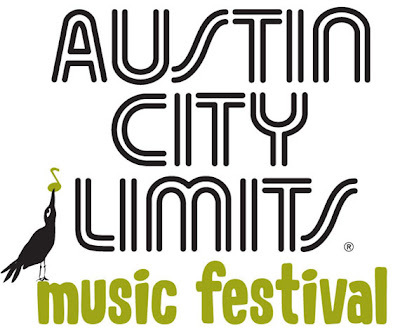 ACL is October 4-6 and 11-13 at Zilker Park. Weekend passes are still available for the second weekend. See the ACL web site for more information. If you are going with your kids this year, check out a post I wrote last year with helpful tips for parents or tips from ACL here. Also check out this new site – ACL with Kids. This entry was written by Carol, posted on October 3, 2013 at 9:00 am, filed under Austin Kids Dance! and tagged austin, austin city limits music festival, babysitter, live music, parents. Bookmark the permalink. Follow any comments here with the RSS feed for this post. Post a comment or leave a trackback. That is a trick, isn’t it! You are right, about 10 is when kids could start enjoying the scope of it all. No need to tell me twice! Go enjoy yourself, girlie! BTW- I totally laughed out loud when you described the guy cussing on stage as y’all left ACL. Ha! What’s even better is we were leaving Austin KIDDIE Limits, the kids section of the park. It was a sweet memory for all the families walking by! Awesome blog and very true. Enjoy ACL! Thanks! I will love the grown-up time. It feels like a vacation! Good report. Thanks for all the info.